This is our first conference solely aimed at adults working with young people who are seeking advice and guidance from experts in the field of education, anti-bullying and internet safety. We have compiled this conference in reaction to the research stated above in order to meet the needs of professionals working with young people. The workshops are designed to give a well-rounded view of the key aspects in engaging yourselves and those around you in building and developing an effective anti-bullying campaign within your setting. What will you get from the conference? The chance to ask questions to our expert panel in the question and answer section of the day. Hear from our Training & Development Team on innovative ideas and best practice examples to take back to your professional setting. This will contribute towards your CPD portfolio. Get support and ideas of how to engage parents with your anti-bullying work and strengthen the community link. Learn from our National Anti-Bullying Youth Board and Facebook on the positive use of social media and how to use it safely and effectively. Gain good practice and new ideas from professionals from across the sector and country on new and fresh ideas of how to kick start or refresh your anti-bullying campaign. There is a fee of £55 per delegate. Lunch is included. We are delighted that our partners Barclays have subsidised this event, passing the reduced cost onto you. We are taking registration for this event on Eventbrite. Please click on the link below to book your place. 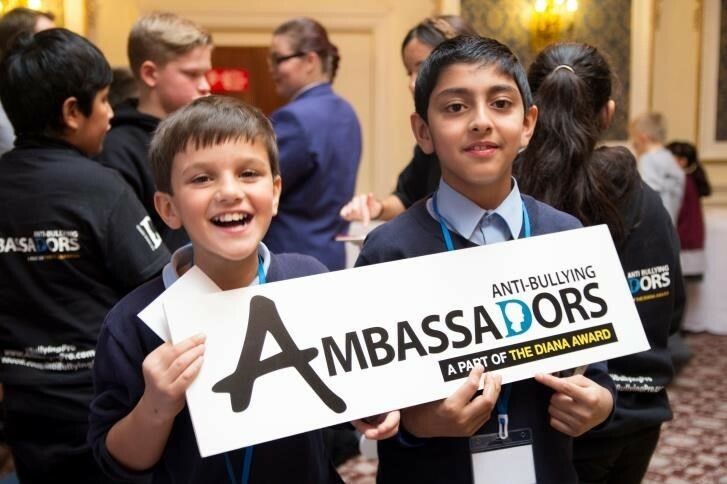 The Diana Award charity run a peer led bullying prevention programme, Anti-Bullying Ambassadors, in 2,000 schools and youth organisations throughout the UK. Over 15,000 young people have received training and gained new skills to become Anti-Bullying Ambassadors who keep themselves and others safe online and offline in their schools and communities as well as 4,000 professionals. The Diana Award was established in 1999 in memory of Diana, Princess of Wales, as a legacy to her belief in the power of young people to change the world. Older PostABA Team School Road Trip for National Anti-Bullying Week!